Which song do you prefer, Goodbye to You or Til' I Get Over You? Which song do you prefer, Are You Happy Now or Breathe? Which song do you prefer, Everywhere or All You Wanted? Which of these shots from Maxim was sexier? Michelle Branch's solo career or the Wreckers? whats your fav song of hers? i know mines everyhere. I thought you guys might be interested in a cool upcoming event in Napa Valley – Live in the Vineyard presented sa pamamagitan ng Aloft Hotels – that combines food, wine and a once-in-a-lifetime music experience with artists like supergroup Daughtry , legendary rock band O.A. R., “The Voice” Season One winner Javier Colon, singer/songwriter Michelle Branch and madami including Christina Perri, Patrick Stump, VV Brown, Safety Suit, Justin Hines, Rebecca Pidgeon and The Fairchilds. Michelle Branch's new album 'West Coast Time' information from Wikipedia. what ... only 1197 fans ?! an answer was added to this question: whats your fav song of hers? i know mines everyhere. 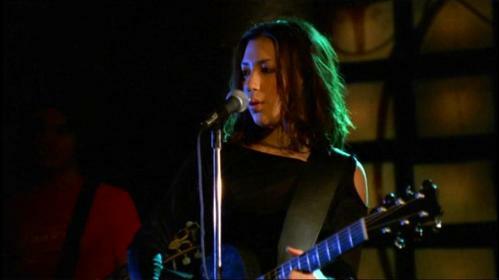 In what episode of Buffy The Vampire Slayer did Michelle Branch play in as a musical guest bituin pag-awit Goodbye To You?